Information Technology University (ITU) Punjab in collaboration with Punjab Higher Education Commission is holding first Job Fair for the first batch of students from BS Computer Science, BS Electrical Engineering and third batch of MS Computer Science who are graduating this year on Tuesday May 23, 2017 at 10 am 3rd floor Arfa Software Technology Park. ITU’s founding Vice Chancellor and Advisor to Chief Minister Punjab, Dr. Umar Saif will inaugurate the mega event while Chairman Punjab Higher Education Commission, Dr. Nizamuuddin will be the Guest of Honor . 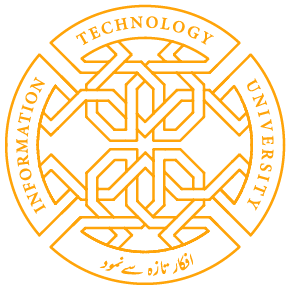 The graduate batch of ITU year 2017 has a wide array of experience in a diverse arena providing a clear edge in the job markets of electrical engineering and computer sciences. They have sound theoretical understanding coupled with experience in practical environment as interns. The presence of CEO’s and representatives of the hiring companies will be a morale-boosting factor for the ITU Graduates. A host of companies including IBM, Oracle, Dell, HP, Teradata, Ebryx, Infotech, Lenovo, Huawei, PTCL, U-Blox, Teradat, Microsoft, MicroTech Industries, Lamudi, INBOX, Polycom, Wateen, Mobilink, Warid, Zong, Telenor, Careem, Sofizar Pvt. Ltd., Mantaq Systems, FRAG Games, Mindstorm Studios Game Strom Studios, Tower Technologies, Suparco Lahore, Haier, Transfo Power Technologies, Nespak, Mentor Graphics, Punjab Information Technology Board and others are setting up their stalls at the event. Share the post "ITU HOLDS FIRST JOB FAIR ON May 23rd"